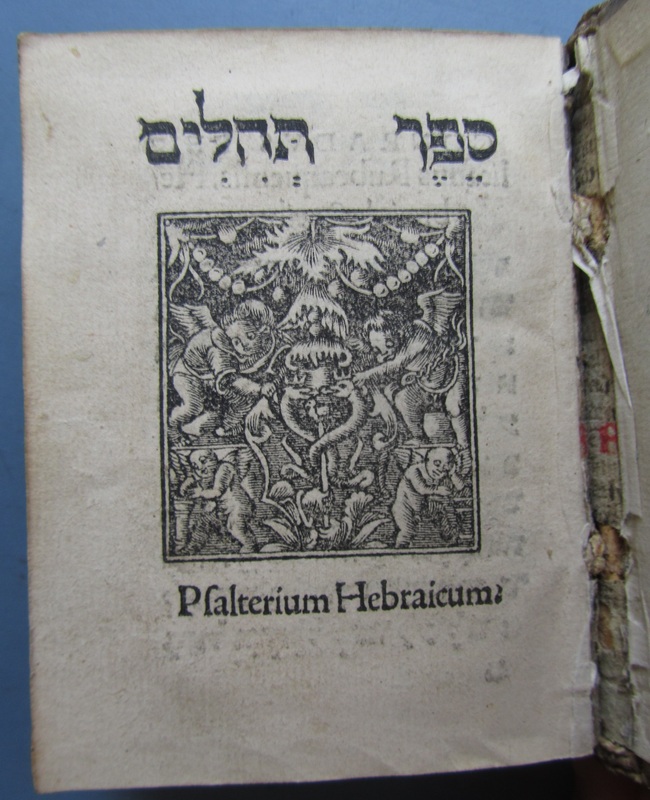 One of the smallest books in our newly acquired Weisz Sephardi Collection is a Book of Psalms in Hebrew. 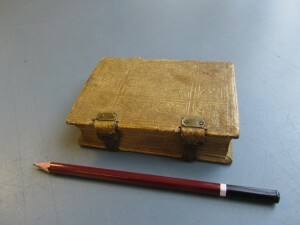 Together with its binding, it is 11cm by 8cm in size. This tiny volume was published by Johann Froben in Basel in 1523. 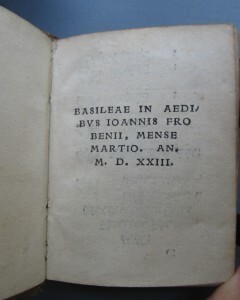 BASILEAE IN AEDIBVS IOANNIS FROBENII, MENSE MARTIO. AN. M.D.XXIII. 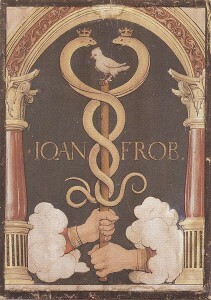 Johann Froben (ca. 1460 Hammelburg – 1527 Basel), one of the most prominent printers of sixteenth-century Basel. He established a printing house in Basel together with the already successful printer, Johannes Auerbach (1443-1513). 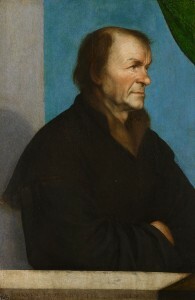 Froben collaborated with leading scholars of the age, such as Erasmus and Konrad Pellikan. Many of his publications were illustrated by woodcuts designed by two renowned artists, Hans Holbein the Younger and Urs Graf. 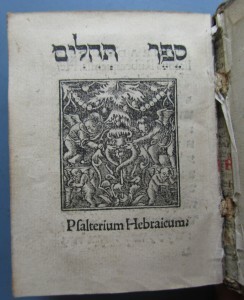 The woodcut decorating the title page of this Hebrew book of Psalters, contains in its centre Froben’s printer’s device: the staff of Mercury surrounded by two crowned snakes and a dove. The device was designed by Hans Holbein the Younger. Holbein also painted two portraits of Froben, one of which is on display in Hampton Court. 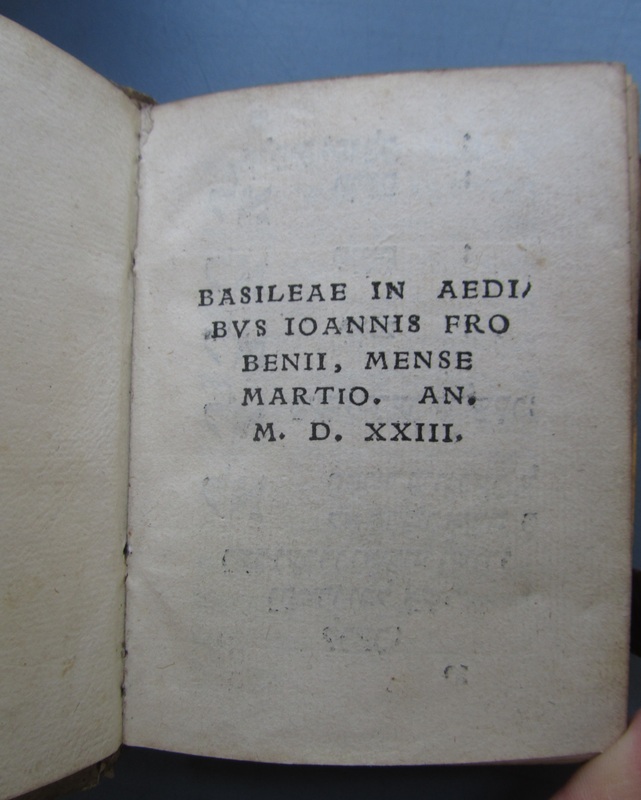 A closer look reveals that even the binding of the volume can offer something to the curious-minded: it has Latin manuscript waste in its binding — a widespread way of recycling discarded parchment or paper leaves.